Having fallen in love with last years festive books from Holly Martin, I was excited to see that she was writing a new series this winter, although I had my doubts that nothing could top the magical fiction that White Cliff Bay brought - but, how wrong was I? I started reading Christmas Under A Cranberry Sky and I did little else until I finished it - You know books are good when you complete them in one sitting!! Christmas Under A Cranberry Sky tells the story of Piper and Gabe, whom were the absolute best of friends during their childhood and teen years. However, we are quickly thrown into the current situation - Piper is a mystery reviewer for a magazine, giving her thoughts and views on hotels across the globe. Her latest assignment is to check in to the newly refurbished Stardust Lake Hotel on Juniper Island. Piper has been here once before.. with Gabe and his family, but what she doesn't expect to find and especially within the first half hour of her arrival, is that the new owner is Gabe himself. Gabe, the one person she has ever truly loved. Gabe, the only man she's ever been with. Gabe, the man who seemingly broke her heart snd she turned her back on twelve years ago. Now of course I'm not going to divulge into the full details of why this pair haven't seen each other for so long - your simply going to have to pick the book up and read it for yourselves but what I will tell you is not as all as it seems and as the story progresses we can feel Pip and Gabe falling back in love with each other in the masterful way Holly creates her romantic stories. Only it's not quite as simple as just falling in love... not only do they both have trust issues, Pip is dealing with some nasty reminders of her past, and there is also Gabe's four year old daughter, Wren, to consider. I honestly didn't think that Holly could top Penny and Henry's story in last years Christmas at Lilac Cottage but not only did I completely fall for Pip and Gabe, Christmas Under A Cranberry Sky felt like it had excelled to another level - Holly's writing gets better. 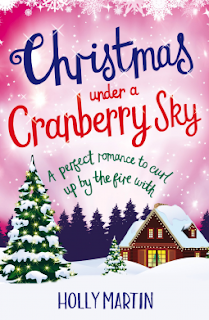 Christmas Under A Cranberry Sky had everything covered, from miss- understandings, friendship, love, lies and honesty. There were scenes that made me snort out loud, parts where I just wanted to tell them to get on with it and of course the romantic and family moments that make you want to sigh and go 'aww' too. 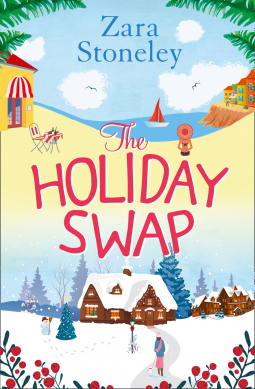 Throw in a Christmas market, snow, hot chocolate, igloos, the Northern Lights, a few steamy kisses plus a healthy dose of Frozen and you have yourself the perfect festive read. I can't recommend reading Christmas Under A Cranberry Sky enough this winter- Holly has a wonderful way of transporting you to the fictional world where you are completely emerged like marshmallows on a got chocolate in to the characters and their lives. 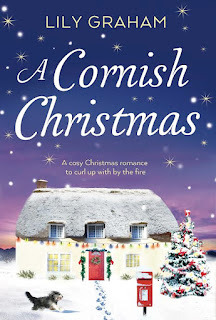 Christmas romance at its absolute best - I can't wait for Christmas Under A Starlit Sky, which is book two in this gorgeous A Town Called Christmas series. With thanks to Bookouture for supplying a review copy. Jenny Hale is a relatively new author to my collection, and whilst I have purchased her complete back catalogue, other than Summer at Oyster Bay the only other book I have read is last years festive release, Christmas Wishes and Mistletoe Kisses. 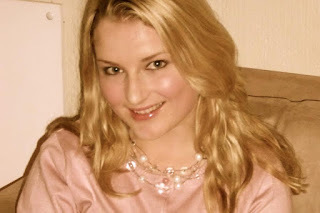 What I loved about that book is that as soon as I started reading I felt like a big warm blanket was wrapped around me. As I was absorbing the words Jenny had written down, I could feel myself falling in love with the characters as they fell in love with each other. Summer at Oyster Bay was no exception. 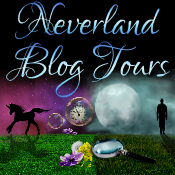 We are introduced to Emily as she is about to embark on a new phase of her life. She's moved back to her family home with her Gram and is starting a new job as an events coordinator at the local Inn. And all this has come about because Emily decline a marriage proposal realising that she simply didn't love Brad any more. I've been in that situation where you realise the love just isn't there and I too moved back home and practically re-started my life, so right from the outset I had a soft spot for Emily. On her first day of work, she bumps into Charles Peterson in a local shop who turns out to be the new owner of the Inn she is employed at. Charles has some big plans for expanding the Inn although he is having trouble convincing the local committee. Asking Emily for help on local knowledge in a bid to win the committee over, we can clearly see Charles relax and the pair start to form feelings. Emily is completely torn between a rock and hard place as she likes Charlie, loves how he gets on with her Gram and sister's family but there is the flip side as Gram reveals she's already sold him her land and Emily resents him for destroying all her family memories. Emily makes it her mission to try and change Charlie's mind by showing him her beloved horse Eli and his barn, the swings hovering over the sand at the bottom of the garden and the small pier hidden away. Emily completely opens up to Charlie and tells him about all these things which her made by her beloved Papa before he passed away and how everything has a place in her heart. No matter how hard she tries, or how close the pair get it seems that the renovations go ahead and we are left to wonder just how Emily and Charlie will end up. Jenny Hale described the locations and settings in Summer at Oyster Bay wonderfully. I felt as though I could feel the sand and the sea on my toes as I was reading. 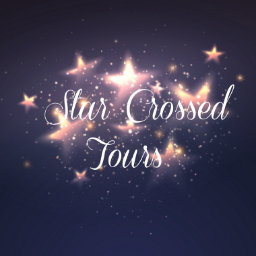 Along with the gorgeous tension filled romance scenes in the book, there were some really nice lighthearted moments too - primarily involving Emily's niece Clara and her dog Flash which kept the everything light and fresh. Of course there were some heaver points within the story too with the sub plots of her sisters marriage and Gram's health. 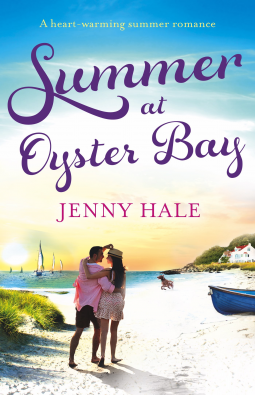 Although I felt Summer at Oyster Bay was a little predictable in places, it worked as it was one of them stories that ultimately was utterly romantic with great epilogue fast forwarding and really finishing off the story. 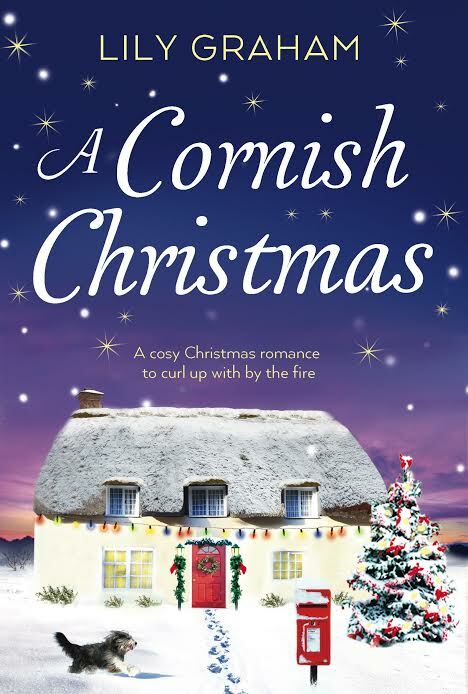 At the time of reading Summer at Oyster Bay, Jenny's 2016 Christmas novel was announced - it has the same beautifully picturesque cover as this book and the others by Jenny, and with her becoming a firm favourite author, I cannot wait to read All I Want For Christmas!